I bought this after seeing this used on Youtube - So glad I did! I have combination skin and my t-zone gets quite oily during the day, so when I use this on top of my foundation my makeup isn't an oily mess after a few hours like usual! Best of all, it's affordable and available in NZ! I've only recently discovered this powder, its great for my skin, which is very oily, and it keeps it matte most of the day. Its a great price, and I use the translucent colour which suits me perfectly. Tips: Don/t use too much as it tends to be cakey, and stock up when you see it , as it's always sold out when I go past the Rimmel stands! I have dry skin, but in summer I sometimes get a bit oily on my face. I gave this a try after seeing friends rave about it, and it's worth it. I applied it with an ecotools kabuki brush, and pressed it in to really set my foundation and concealer. My face looked perfect at the end of a long hot day! I like this in translucent, because it didn't change the colour of my blush or contouring. Tips: Apply with a nice dense kabuki brush, not a little powder sponge, for the best finish. I have loved this powder for a while now. I use the transparent one and I find that it sets my makeup, mattifies my face and stays on for the whole day. Although the packaging is kind of tacky, the product itself is well worth the small price you pay. I use this everyday, and I carry it around if I think that I will need to reapply it later in the day. Tips: Use a fluffy brush to apply, because it can easily beome a bit 'cakey' or powdery on your skin if you use too much. This is a great powder in terms of shades and quality - it is very finely milled and blends easily into the skin without looking cakey or powdery. The only reason I don't use any longer is my love of loose powder and even though this is pressed which would be good for keeping in the bag it's actually terrible in terms of portability due to it's compact - the lid falls off so easily and it will break very easily leaving a huge mess in your bag (been there done that) but as an at home use affordable pressed powder this is a great product. I adore this powder it keeps my oily skin matte for a relatively long period of time. My only complain is i hit pan quickly and the packaging is useless as it doesn't stay closed. This is a great powder, applies nicely and does the job. So affordable too (online) Can't really fault it at all! Packaging is a little boring but hey, can't have it all! Tips: I apply this with my real techniques kabuki brush in a patting motion. I do really like this - it's affordable, provides a really nice finish and is easy to apply. I'm rather (*coughverycough*) pale, so I use Translucent, which is actually not a true translucent, so provides a little coverage which is nice. It's a yellow-based colour as well, which suits my skin perfectly. I love this for using everyday, when I wear just concealer and a bit of blush, as it looks super natural. You do have to be a bit more careful when using over foundation, as too much can make the foundation look cakey, but just a little will set everything and still look natural. The only downside to this for me is that it doesn't last super long on my T-zone. I have normal/combo skin, so not super oily, but I really only get a few hours out of this before my nose especially looks a bit shiny. So that's a pain, but for the price I'm not going to complain too much! Tips: If you want to get this even cheaper, you can get it on ASOS for about $8 with free shipping - super cheap! I love this product, so good at controlling the matt-ness of my skin and as I have quite oily skin, I think it works well considering it has to work a lot for me. One thing that makes me appreciate the brand more is that they have a good range of tones/shades. I am able to wear this product without having an orange tone and without wearing the translucent shade. I buy this product from asos.com which is very trusted, it is around NZ$8 and they offer free shipping as well. I apply this with an old thin lizzy brush as it is super easy to apply and doesn't need a special brush as the results are the same with other brushes, so I can keep my good brushes for other products. Tips: Buy from overseas if possible, it is a lot cheaper. 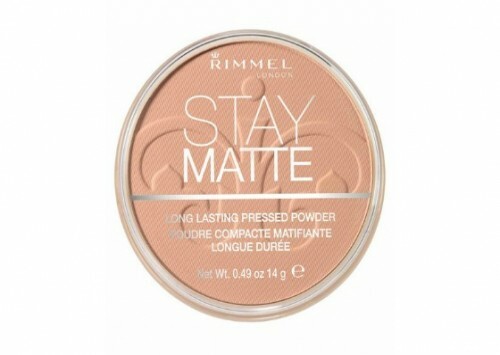 This is the only matte powder I have ever tried and I really love it I used it with the matching foundation wasn't a fan of the foundation but this powder did a fantastic job my face stayed matte looking the whole day and it set my makeup really well it did not move around my face at all still looked great 9 hours later super impressed I applied with my beauty blender cheapie dupe I think it looks best applied that way on my skin, not a fan on the packaging it not the easiest to open i find but great product! Will last ages.